Mayor Welcomes Marjorie Back to the Plaza! Mayor Stephen Lesslie welcomes Marjorie Jackson back to Cook Plaza on Monday morning. “Marjorie Jackson-Nelson, ‘the Lithgow Flash’, is arguably our most famous citizen,” Mayor Lesslie said. “Marjorie won gold medals in the 100 and 200 metres at the Helsinki Olympic games in 1952 and a further seven gold medals at Commonwealth Games,” Mayor Lesslie said. “She also served as Governor of South Australia, serving from 2001 to 2007,” Mayor Lesslie said. The sculpture of Marjorie Jackson-Nelson was created by the late Antony Symons in his Rydal studio and has been carefully stored at the council depot whilst the Main Street revitalisation works have been taking place. 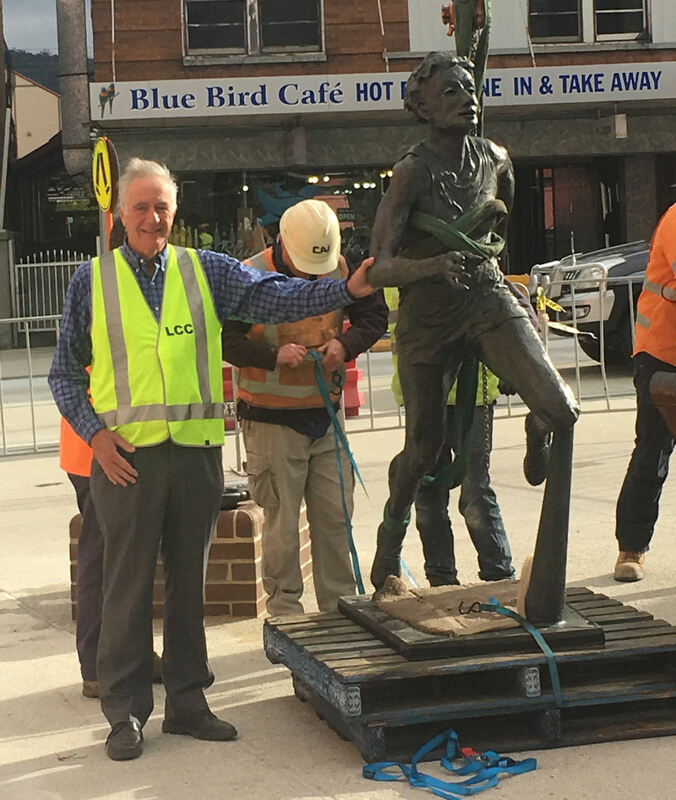 Lithgow Council employed a Fine Arts specialist to instruct contractors on the correct method of removal, transport and storage to ensure the statues’ wellbeing. ← Your Local Creek Needs You!